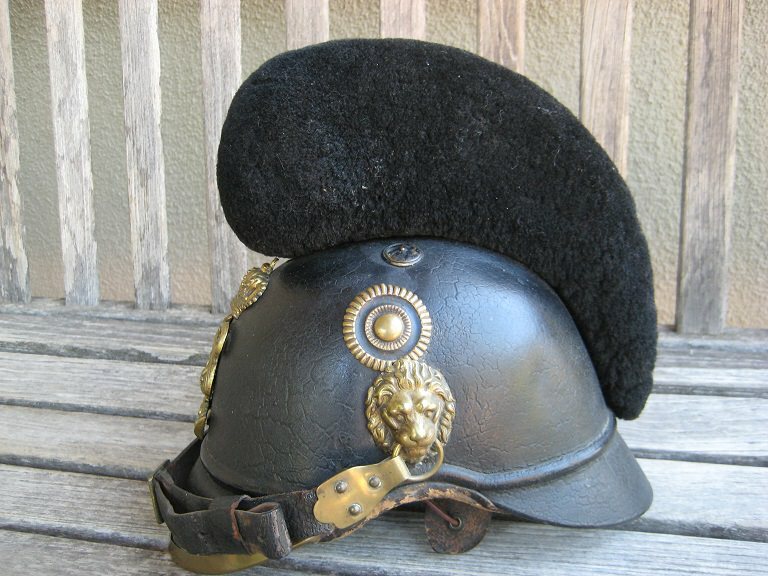 This is a Model 1868 Bavarian Infantry Raupenhelm. 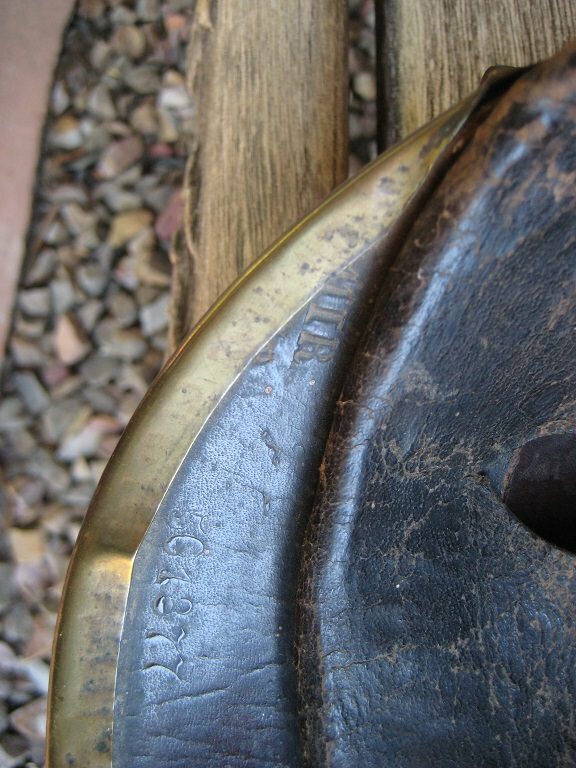 This replaced the earlier Model 1845. 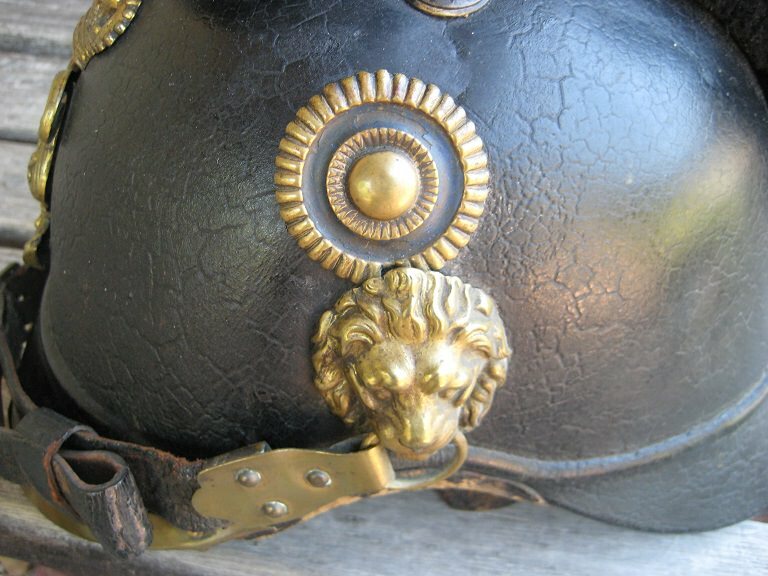 This helmet could have seen service in the Franco-Prussian War (1870-1871). There seems to be agreement that these helmets never saw service in World War 1. 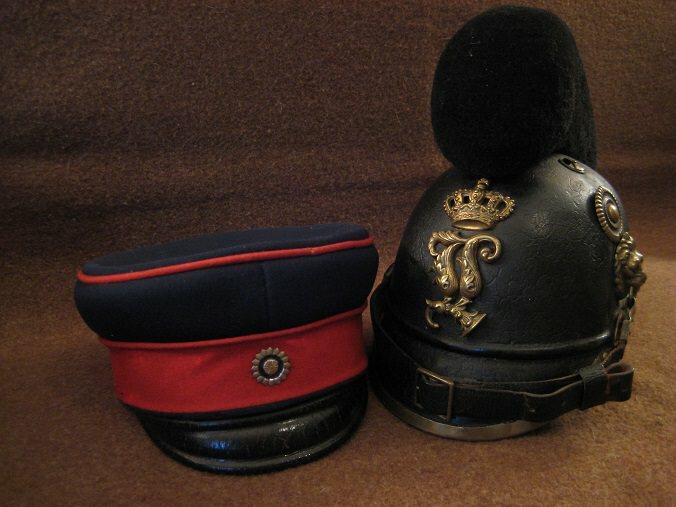 It was replaced in 1896 with the familiar Prussian style Pickelhaube. This helmet bears the Wappen of Ludwig II (King of Bavaria from 1864 to 1886). The Kokarde is silver and blue, but much of the silver color has washed away. The liner is the familiar tongue type similar to what was used on Pickelhauben. Please ignore the chrome washer and leather wedges. 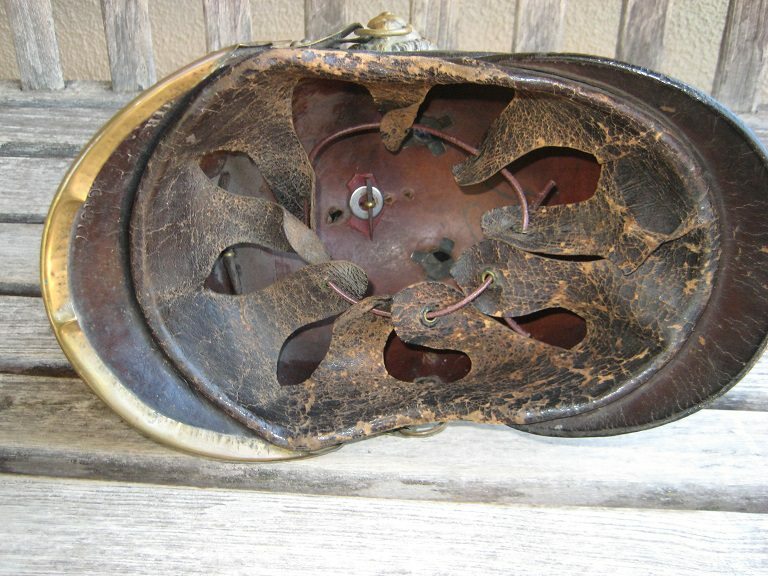 The Raupe was very loose and this helmet was missing the zinc washer that would normally be there. I placed a thick washer and two leather wedges under the hold down loop to make the Raupe tighter. 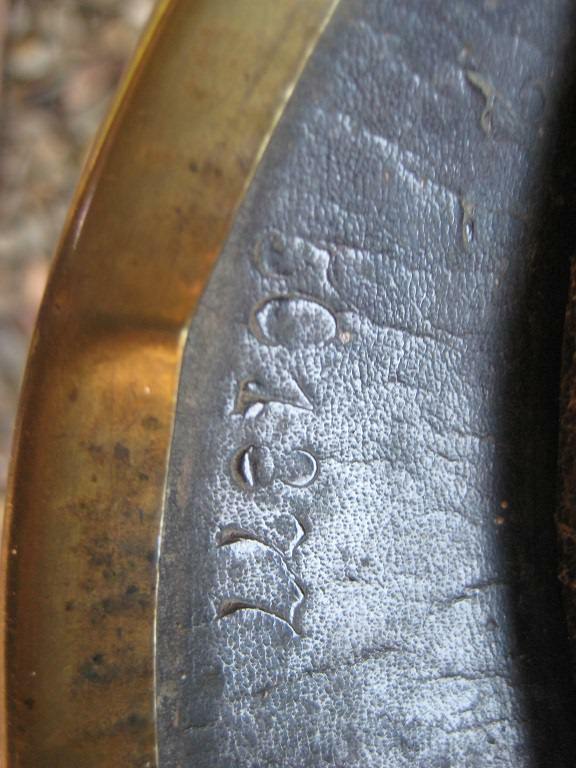 This helmet is marked to the 11th Bavarian Infantry, and there is a date, but much of the date is now hidden underneath the visor trim, probably due to shrinkage or perhaps a period repair. There is also what appears to be a serial number "501377" stamped in the front visor. Last edited by SkipperJohn on Mon Sep 03, 2018 3:54 pm, edited 1 time in total. SkipperJohn wrote: . 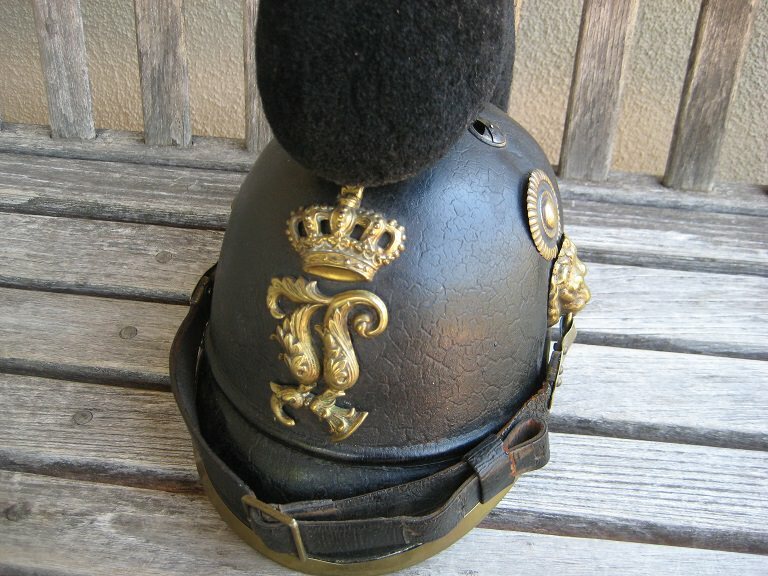 It was replaced in 1896 with the familiar Prussian style Pickelhaube. Thanks Tony. Wonder where I got 1896??? Nice example, way to go John!